There is nothing better than a some good denim. It goes with everything, it can transition from day to night and from season to season. 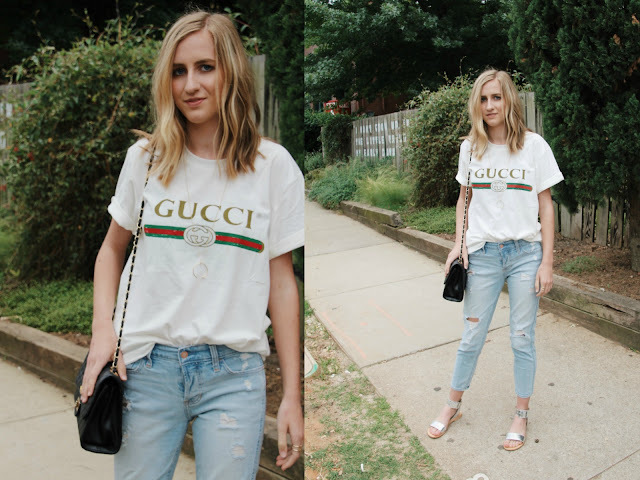 There are so many ways to style your denim this season but my 3 favorite have to be an off the shoulder top with jeans, overalls with flare, and the basic t-shirt and jeans. This season, I have absolutely fallen in love with the off the shoulder look. I think it is a simple way to show off a little skin but it is also a great piece that you can style in so many different ways. The off the shoulder top is a must to have in your wardrobe this season. My favorite way to style it is to tuck part of it into a pair simple jeans so that the top pops out from the rest of the outfit. Some of my favorite accessories to pair with this top is statement earring which I feel really stand out from your coaler bone. 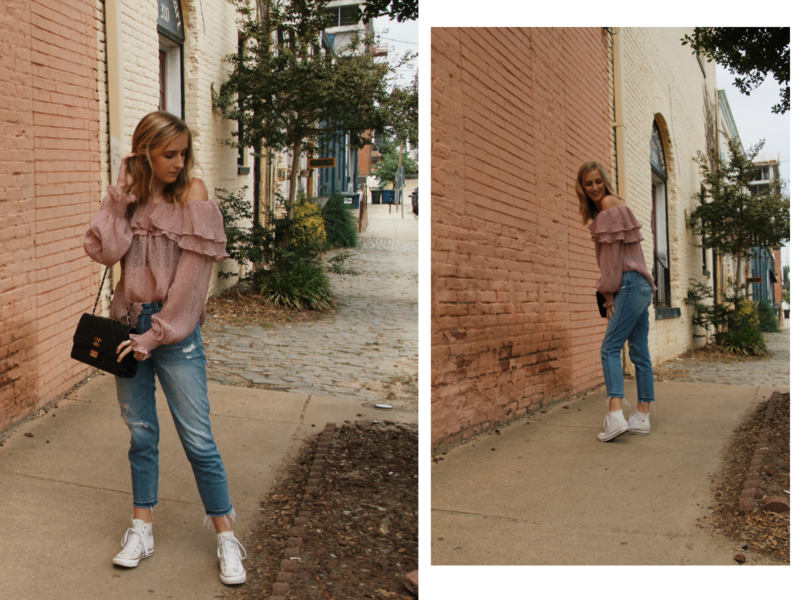 My off the shoulder top from Storets is one of my favorites for this time of the year because it is so light and loose and give a lot of breathable space which is great for the warmer weather. Ruffles are in and overalls are back! This is one of my favorite looks when it comes to pulling together an outfit. It is so easy to grab a pair of overalls an through them over any top. I mean the go with EVERYTHING and complete every look. For this look, I paired my overall over this ruffle off the shoulder top from Zara. A good tip is when you have a black any kind of back denim in your outfit this season, it looks amazing to pair a simple pop of color with it. This totally shows off the trend of having color in your outfit for the spring/summer season this year. It is the ultimate classic and everyones go to. A simple graphic tee and jeans can be a basic outfit but can also be dressed up if styled the correct way. If you pair a statement tee with a simple should bag with something that pos on your feet, the the outfit can feel complete. But that is just one of the many ways that you can style the classic tee and jeans. You could add statement jewelry with some heels or even some sneakers and a leather backpack to make the look more casual. The options are endless.